Letter of Recommendation: Turner Classic Movies – NYTimes.com – What Price Hollywood? Boy is this ever me… and can I relate. And it’s so true how cinema connects our lives in ways. I remember years ago when my Grandma Burke was suffering from Alzheimers/dementia, and we were sitting with her one day. She didn’t know who I was – nor really my Mom, but there was a picture of Elizabeth Taylor in the newspaper, and she could remember all about her. There was a connection for her with us through that memory of an old movie star. I fully subscribe to it – in fact, I think I need to self-medicate right now. I wonder what’s on TCM? 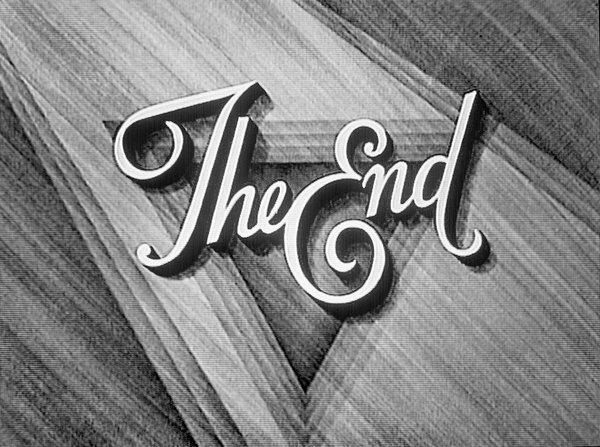 An end title from “Carefree” (1938). RKO RADIO PICTURES. DAN LARKIN FOR THE NEW YORK TIMES. Some people turn to psychopharmacology when they are blue. I prefer Turner Classic Movies. Nothing performs this charitable expansion of awareness more immediately for me than TCM. Movies are quick corrections for the fact that we exist in only one place at only one time. (Of course there are circumstances in which being only in one place only at one time is a definition of bliss.) I switch on TCM and find swift transit beyond the confines of my position. Alongside my reality there appears another reality — the world out there and not in here. One objective of melancholy is to block the evidence of a more variegated existence, but a film quickly removes the blockage. It sneaks past the feelings that act as walls. I recall an evening when my mother was ill in bed and very fragile. The room was lit by only the flickering luminosities of a black-and-white movie that TCM was running. All of a sudden my mother recognized, and quickened to, the sound of Eve Arden’s voice. She gently smiled. It was a small cognitive resurrection. Never mind that I myself have little patience for Eve Arden and her compulsive wisecracking, her tedious insistence upon the last word. The sound of that mondaine voice restored my mother to the rich world in which there were Eve Arden movies. For a few moments, her memory successfully challenged the tyranny of her condition. Her horizon was cinematically extended. She was, however inarticulately, delighted. 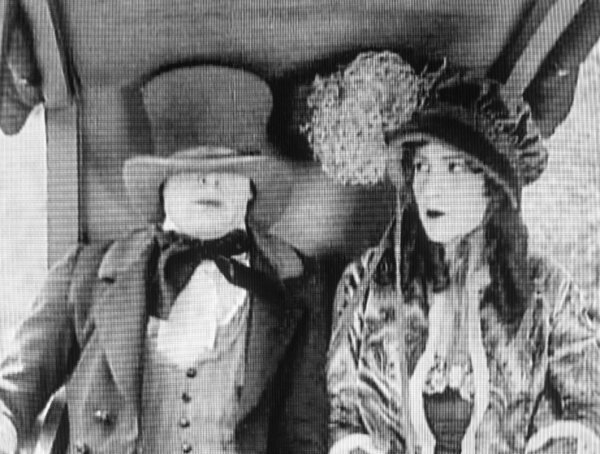 Buster Keaton and Natalie Talmadge in “Our Hospitality” (1923). METRO PICTURES CORPORATION. DAN LARKIN FOR THE NEW YORK TIMES. When I watch the older movies on TCM, I am struck by the beauty of gray, which makes up the bulk of black and white. How can the absence of color be so gorgeous? Black and white is so tonally unified, so tone-poetic. Shadows seem more natural, like structural elements of the composition. The dated look of the films is itself an image of time, like the varnish on old paintings that becomes inextricable from their visual resonance. There is also a special pleasure in having had someone else choose the film. Netflix, with its plenitude of options, asks for a decision, for an accounting of tastes; but TCM unburdens you of choice and asks for only curiosity and an appetite for surprise. The freedom to choose is like the freedom to speak: There is never too much of it, but there is sometimes too much of its consequences. Education proceeds by means of other people’s choices. Otherwise it is just customization, or electronically facilitated narcissism. Let Mr. Osborne decide! Now they would green-screen him and add the phony danger later. You cannot confidently believe in the spatial or pictorial authenticity of movies anymore because they are digitally fixed and technologically rigged. The slick new resources, which take vividness way beyond verisimilitude, are a boon for entertainment; but when you see the finished product you can smell the green screen, the way you can smell Google in pieces written by people who do not really know their subject. (I once had the strange pleasure of acting — though that is too grand a term for what I turned in — against a green screen. It was extremely disorienting, trying to suggest a narrative context in a setting of total decontextualization.) The old movies owe their power partly to the limited technical resources that were available to the people who made them. Their artifice was truer. Their fictions seemed less fictive. For the most special effects of all are the effects of no effects. If watching old movies is a form of escapism, it is at least not an escape from the human world. It is, in fact, an escape to the human world. When your own corner of the universe is hard or grim, there is dignity in escape. Yet anything that enhances your sense of reality and renovates your sense of possibility cannot be denigrated as “mere” escapism. We watch movies because life must be faced. 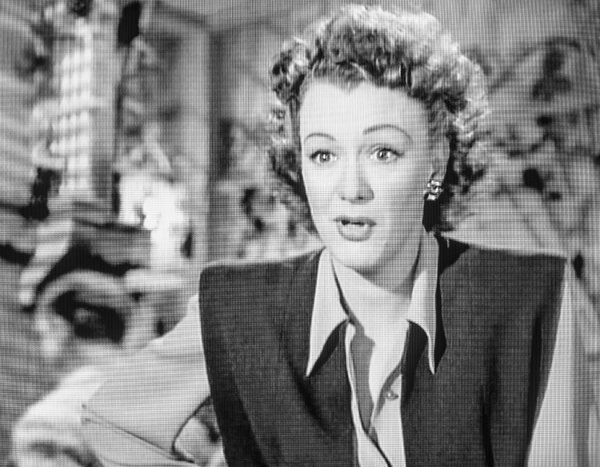 Eve Arden in “Mildred Pierce” (1945). WARNER BROTHERS. DAN LARKIN FOR THE NEW YORK TIMES.